LICENSEPLATES.TV is an ecommerce website wholly owned by Autogeardepot.com, Inc.. We created LICENSEPLATES.TV to conveniently offer serious car collectors, auto enthusiasts and license plate aficionados the largest selection of license plates in the world -online at great values. No other store (online or brick and mortar), offers the variety and quality of license plates with the convenience of shopping as LICENSEPLATES.TV. We are the only manufacturer to offer authentic-look embossed or stamped, painted or reflective Aluminum metal license plates in the world. Our customers are global -from the United States of America, China, Japan, Switzerland, France to Brazil and the United Arab Emirates. In addition to standard fonts, our license plates are also embossed/stamped with Cyrillic, Mandarin Chinese, Japanese, Arabic and Persian fonts. LICENSEPLATES.TV can manufacture and deliver license plates to exceed the expectations of all our customers. ALL custom license plates and frames are made in the USA. When you visit LICENSEPLATES.TV, you enter an exciting and creative world filled with the license plates and frames you always wanted to own. LICENSEPLATES.TV offers you the freedom to shop at your leisure and free consultation with our license plate expert-Elmer the Platemeister.Whether you own a single collector car, operate a historical automobile museum, source for Hollywood movie production or re-creating license plates for a country or kingdom, LICENSEPLATES.TV is truly the only source to accurately and quickly deliver for you. 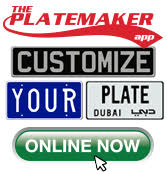 With hundreds of thousands of satisfied customers across the globe, LICENSEPLATES.TV is truly: the Place for Plates! HISTORICAL PATH: Our founders have over 30 years experience manufacturing license plates for foreign countries and entered this market because of numerous requests from car collectors, auto enthusiasts, advertising agencies and movie Prop Masters. LICENSEPLATES.TV has manufactured custom license plates for TV and print commercials featuring autos from Audi of Dubai, BMW, Chevrolet, Ford + Lincoln-Mercury, Jaguar-Land Rover and Mercedes-Benz. Other companies featuring our plates in their TV commercials are: Enterprise Car Rental, Papa John's Pizza and CBS Sports. Our historically correct and detailed license plates have been featured in many movies including: Angels & Demons, Public Enemies, 2012, Iron Man, Body of Lies, Transformers 2, GI Joe -The Rise of Cobra, Knight and Day, Takers, Fast Five, Extraordinary Measures, The Fault in our Stars, The Man in the High Castle and many more movies + TV series . VALUE is the most important word to us and we pledge to over deliver to our customers by offering the finest quality (ISO-9002) license plates and license plate frames for prices that will please the most discerning shopper. 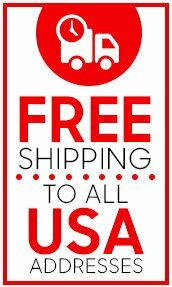 Please remember shipping is free to our customers with United States of America addresses. This includes APO, FPO, AE and U.S. Territory addresses. CREATIVE license plates and license plate frames examples are elegantly displayed on LICENSEPLATES.TV. You may also use our online license plate maker and frame maker to personalize your license plate and license plate frame -with your custom creation! Our designers people have created license plates for many corporate identity promotions. Among our clients are many Fortune 500 companies and startups, who value the unique medium of license plates for their brand identity programs. FREEDOM to easily browse our online store, personalize and order your license plates and license plate frames is a unique experience. You can search the world or visit other online stores and compare to LICENSEPLATES.TV -we guarantee you will not find the variety and quality of license plates and license plate frames.